It’s parent’s choice for Visitors Day. 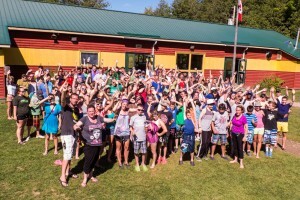 After a successful trial last year, we’re adopting a flexible visitors day approach, which provides more flexibility for our 4 – 8 week camp families and better meets the needs of our shorter stay campers. If your Kennebecer is staying for 4 weeks or longer, you can choose your own day to visit just by calling the camp office or emailing us to let us know when you would like to visit your Kennebecer. That way we will know when to expect you. Only about half our campers stay for a 4 – 8 week stay, so having a “formal” visitors day, midway through the camp season, means that half the camp has no one visiting them. We can’t run our normal programming, because we need our staff to be available to speak with parents. That means that campers who are at camp for a week or two, end up missing out on a full day of specialties and activities, on top of having no visitors. With this added flexibility, you can spend your time in camp watching your Kennebecer enjoy favourite activities. Plus with less traffic on the camp road, you’re welcome to take your Kennebecer out for lunch. Visitors Day is Only For Kennebecers Who Stay 4 Weeks or Longer. We do not recommend that you visit camp if your Kennebecer is staying less than four weeks. While campers are delighted to spend time with their parents at camp, visitors day goodbyes can often be very difficult. There are usually three tough periods for campers – the first day or two of camp, visitors day and the last day or two of camp. Your Kennebecer will thank you if you can help him or her have one less challenging transition period.